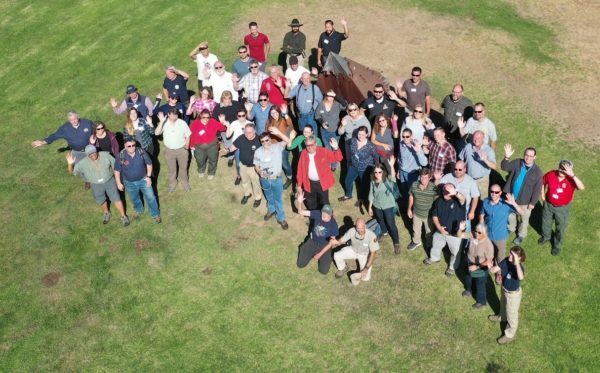 NAPSG Foundation’s Search & Rescue GIS Working Group gathered with more than 60 Search & Rescue (SAR) leaders and GIS responders at West Valley College in Saratoga, California, on October 23-25th, 2018, for the highly anticipated 10th Annual Search & Rescue GIS Workshop. This year’s theme was “The Next Generation of Geospatial for SAR”. The purpose of the SAR GIS Workshop was to build capacity and advance the use of location and analytics-based decision support tools across the SAR community for missing persons and disaster SAR. The diversity of perspectives and experiences generated a rich dialogue around challenges and potential solutions. Be Compassion, In Action – Get outside the command post or operations center to see the people you are supposed to be helping. Be Open, Candid, and Direct – Honesty is always the best policy, and in disasters it is a necessity for a swift and capable response. “Face the brutal facts”. One Team, One Fight – No one should get left behind in disaster, whether they are your most vulnerable citizens or emergency managers themselves. Kip Harkness, City of San Jose Deputy City Manager, providing the keynote presentation. Kip’s presentation was heartfelt and a good reminder that while advancing technology helps solves problems, humans are at the center of our work. Two emergency managers from Kip’s team joined us for the rest of the workshop and will be taking some lessons learned back with them to the Office of Emergency Management in San Jose. This keynote presentation was followed by presentations from across the SARGIS Community, a panel discussion on drones and cell phone analysis, and lightning talks by local practitioners on emerging best practices. 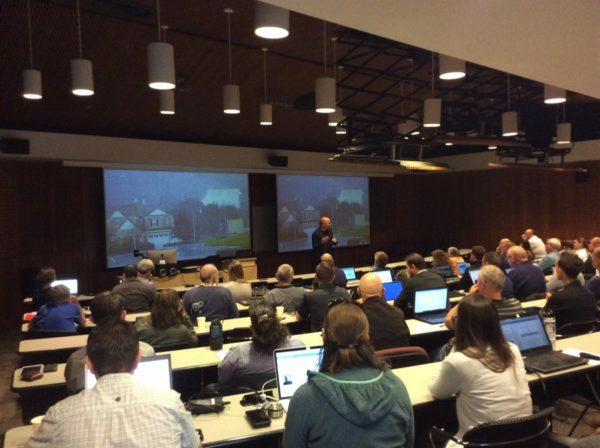 The 2nd day of SARGIS10 included a full day of training for First Responders and GIS Specialists. Check out the SARGIS10 Agenda! The SARGIS Training Website with materials used during SARGIS10. On the third day, we simulated field data collection after a major earthquake in San Jose. This was to test the interoperability between Urban and Wilderness Search and Rescue Teams. The Field Exercise was a great success with teams out in the field using Survey123 and Collector for ArcGIS and testing an early version of Tracker for ArcGIS in real-time. 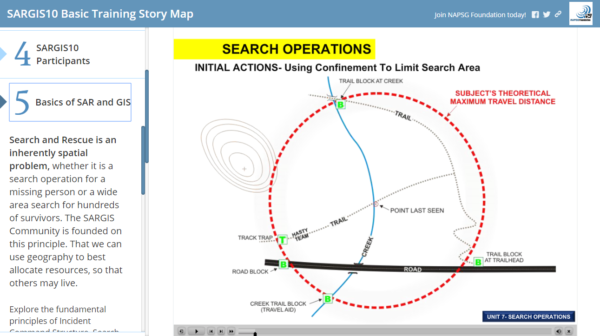 GIS Teams inside had a “hackathon” to produce Story Maps, Situational Awareness Viewers, and Operations Dashboards. Overall, it was a great experience and some new workflows were tested and improved. SARGIS10 FieldEx Dashboard showing waypoints collected using Survey123 and search coverage with Tracker for ArcGIS. To access the SAR Field Data Collection template, see this Deployment Kit. A very special thank you to the event planning team who volunteered many hours leading up to the event: Vanessa Glynn-Linaris (PSC), Hilary Melton (LSC), Jared Doke (OSC), Caroline Rose, George Durkee and Don Ferguson. Finally, thank you to our site host Chris Cruz (and students) at West Valley College, and Chris Ferner & Doug Morgenthaler from the Esri Disaster Response Program for on-site support. Feeling left out? Explore the #SARGIS10 conversations and photos on Twitter!